If you're a gamer in 2019, you know the importance of a high-quality TV. With the current generation consoles, the visual content of video games is at an all-time high. Whether it's a Playstation or an Xbox, to get the best out of the games you play, a 4K TV is the best option. Current generation Playstations and Xboxes are systems that are capable of creating fast-paced gameplay sequences with vibrant colors and backgrounds. You can play games with a TV that's not 4K of course. In fact, you could probably play on any old television, but will you experience the full effect of your favorite games? Not a chance. 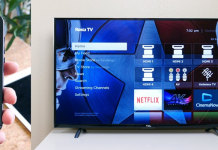 Which 4K Gaming TV is Right for You? Curved design makes for an immersive experience. A high-quality picture with great color. Motion Rate 240 for smooth imagery. Triple Black technology makes for stunning dark scenes. Color is top notch thanks to HDR. Local dimming creates incredible contrast. Immersive depth is achieved by Ultra Luminance technology. Plenty of inputs and outputs. 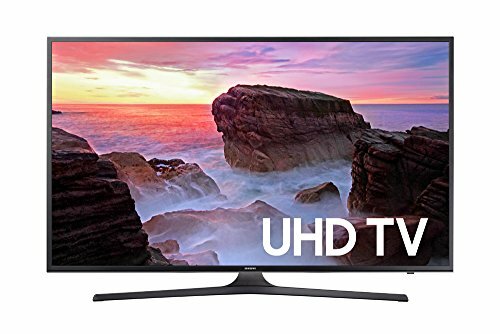 This top rated Samsung TV is our Top Pick and you'll realize why very quickly. There is no better 4K TV on the market than this one. This 55inch tv does absolutely everything you could possibly want out of a gaming TV. 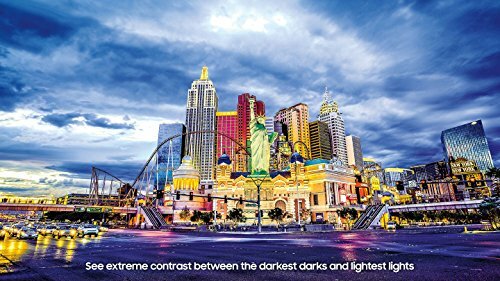 This model has Premium UHD as well as HDR which allows for a massively expanded color depth. The contrast is as authentic as they come and the colors are vibrant and lifelike. There's also a terrific feature here called Triple Black. With this, the HDR pictures do not suffer during dark scenes. The curved design, combined with its Auto Depth Enhancer creates a beautiful, immersive image. And it's got Motion Rate 240, which is perfect for fast-paced gameplay. 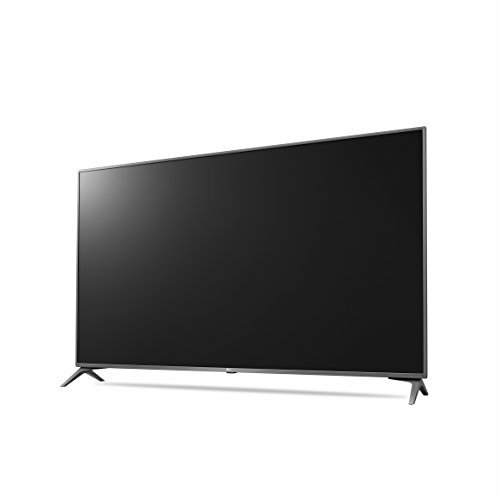 In addition, the 55inch 4K Ultra HD TV has Smart Compatibility and a variety of inputs and outputs. There's also a handy Samsung OneRemote that will control the TV and any connected device. + Outstanding color and contrast. + Curved design makes for an immersive experience. + Highly capable Motion Rate. 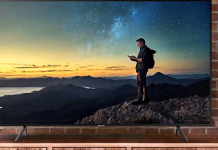 Why We Liked It - Now this 4K Ultra HD is not a cheap model by any means, but there are so many valuable features built into this TV that it's well worth the price. It's a fan favorite for good reason. This is another absolutely phenomenal TV from Samsung. 49-inch TVs are a perfect choice for gaming and have the outstanding, high-quality picture a modern gamer would look for. There's really not a whole lot of difference in quality between this model and our Top Pick. This TV has a lot of the same advantages that the other Samsung one has. We've got HDR and Premium UHD in here too. So you can expect a very realistic contrast alongside a stunningly colorful picture. This also has Motion Rate 240 for those fast-moving images and theres that great Triple Black feature that we talked about earlier. One big thing that we think sets this a level below the number one choice though, is the absence of the curved screen. Of course, this might not be much of an issue for you, but the effect of the other Samsung models curve and its Auto Depth Enhancer is terrific for gaming. + A high-quality picture with great color. + Motion Rate 240 for smooth imagery. + Triple Black technology makes for stunning dark scenes. Why We Liked It - This would be a great choice but if you want the full gaming experience perhaps the curved model would suit you better. If the size or cost of the other system were dealbreakers for you though, this one is a bit smaller and a bit more affordable too. 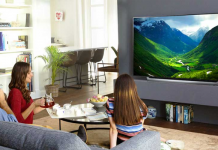 When youre talking about great electronics brands, youve got the big names like Samsung and Sony TVs, but LG has certainly found its way into the conversation too. 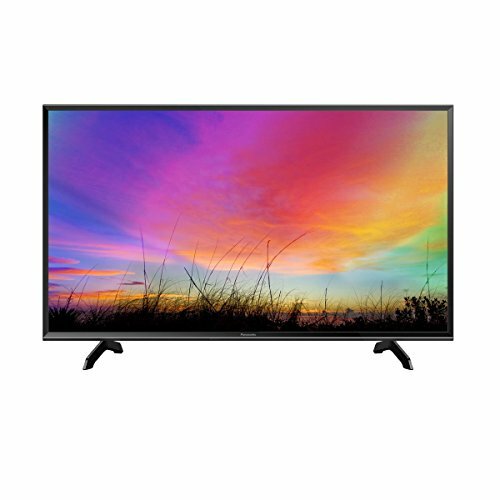 Theyve got a lot to offer with their products, and this 65 inch Television for gaming is no exception. Like the other two on our list, this is loaded with all the smart features necessary to make it a gamers dream. Once again, youve got UHD and HDR to look forward to if you purchase this model. So expect the top-notch color and contrast. The TV is also capable of Local Dimming. Always a useful feature to have, gives those more detailed, more colorful images a sense of heightened realism. While this particular TV also isn't curved, it does have Ultra Luminance technology. This will help with adding depth to the picture and it will improve the brightness and contrast too. There's no shortage of inputs and outputs. In fact, there is actually a total of four HDMI ports on this so if you've got multiple consoles you can keep them all connected at all times. + Color is top notch thanks to HDR. + Local dimming creates incredible contrast. + Immersive depth is achieved by Ultra Luminance technology. Why We Liked It - This is a pricey enough choice and is actually the largest of the three options so far. But this TV is well worth the money. For cheaper options, try these budget 65-inch TVsor these 65-inch TV options for under 1500 dollars. Want to stick with 4K? Read our review on the top 4K TVs under $1000. 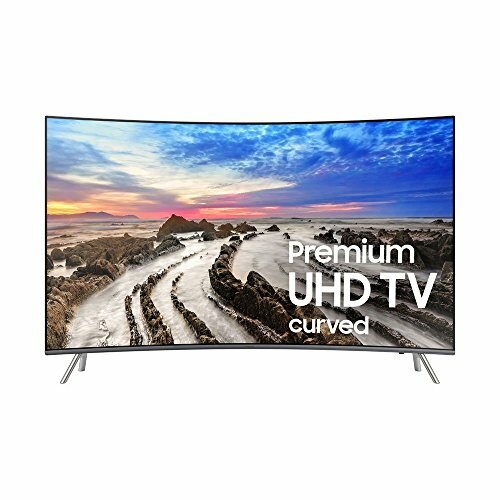 Another curved TV here, and another one that has everything a gaming TV should have. 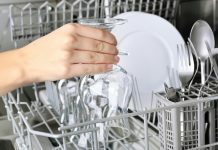 While it is behind the other choices in some areas, there are some interesting extra smart features. First of all, UHD and HDR are both featured here, so that is definitely a big plus. Its also got that valuable Auto Depth Enhancer for maximum immersion. Theres also a feature here called PurColor. This technology doesnt just focus on primary colors like most TVs but will effectively express secondary shades too. With every single color on the screen getting attention, this produces an image so vibrant youll forget that its not real life. If you want to play games of the classic variety, theres an Upscaling Picture Engine too. This will upgrade images of a lower resolution to the point where they basically resemble HD. Its lacking a couple of important elements. The Triple Black technology is noticeably absent, and the screen is on the glossy side. Its Motion Rate is only 120. For gaming, this is a big deal. Car chases and gunfights will suffer from the reduced Motion Rate. + Very immersive image thanks to the curved screen and Auto Depth Enhancer. + PurColor technology maximises color quality. + Upscaling Picture Engine makes the classics look modern. Why We Liked It - Though pricey enough, this is an excellent TV. As we mentioned, it may lack some of the more impressive features of the higher choices, but its extra unique elements somewhat make up for it. Read more about this TV in our 50inch television buyers guide. Samsung with yet another fantastic model here. An awful lot of great features to talk about with this gaming TV and definitely another good choice for gaming. Essentially this model is the same set-up as our top choice but is a 65' instead of a 55'. So this might not seem like a big deal, but it's definitely a factor worth considering. While it has all of the great features that the smaller model has, the Premium UHD, HDR, Triple Black technology and Motion 240, the size of the screen can affect performance. With more screen-space to fill but the same specs, the resolution will be affected. Even if its not huge, the difference will be noticeable. You also need to think about how much space you want the TV to take up. + Massive screen with a curved design. + HDR and UHD combine for incredible picture quality. + Very high Motion Rate. + Comes with the ever-handy OneRemote. Why We Liked It - So much like the similarly designed but smaller TV, this is just an outstanding model for gaming graphics. Depending on your personal specifics, the size might be a factor for you. This is also a bit more expensive too so thats something that might affect your decision here. 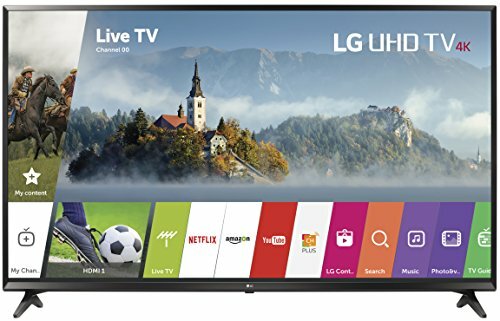 So this the second LG TV on our list and its a very solid system. Its a significant enough step-down from the top products listed here but still satisfactory even for serious gamers. The first thing to note is the picture quality. By no means is it bad, but it does not have Premium UHD, not does it have HDR. Its got an LED screen, and its full HD with 1080P resolution, so the color and brightness are still excellent, but it might not fully capture the most visually striking games. What helps in this regard is it's IPS screen. This will enhance the color accuracy in the same way that HDR and PurColor do for the Samsung TV's though maybe not as effectively. LG's WEBOS technology is on full display here. Which as we discussed is a handy feature that makes it very simple to switch from app to app. Useful if you've got multiple consoles set up, especially with the Magic Remote that comes with the TV. This can also control any device that's connected to the TV. + The LED screen gives you a beautiful, high-resolution picture. + The IPS feature is a unique color accuracy & enhancing technology. + Comes with LGs useful WEBOS system. Why We Liked It - Definitely not the best option on the market by any stretch of the imagination, but a very solid model nonetheless. Some interesting technology here thats not found in the other 4K gaming TVs. 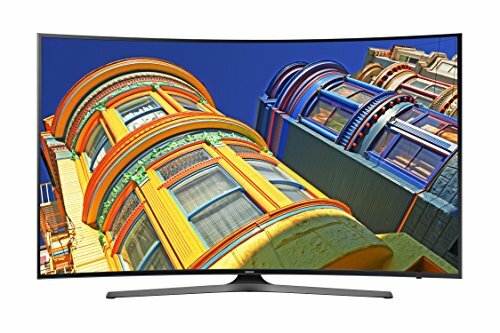 What this great 40-inch television offers, is everything that you would expect from the other Samsung models on the list, but on a somewhat smaller scale. It does have a UHD, but the resolution is not as high as the other models with Premium UHD. It comes equipped with 4K HDR Pro though which is a plus. Its got dimming technology too and Essential Black Pro to enhance the picture during those darker scenes. The Motion Rate could be a problem for you. Its 120, and while this is not exactly bad, it might not be up for the high-speed action scenes that Motion Rate 240 can convey so beautifully. For a gaming TV, that could very well be the deciding factor. It can have all of the vibrant, lifelike colors in the world but youll want it to be able to keep up with action-packed gameplay. This is a 40 inch 4K TV too, so its quite a bit smaller than the others. + Excellent color provided by 4K HDR Pro. + Essential Black Pro bolsters the darker imagery. Why We Liked It - We think that even with some negative elements, this is a very good choice. Especially if you want a TV for gaming that doesnt take up a massive amount of space. A very similar model here to the last one, but this top notch 43" TV is slightly bigger. So you can expect a lot of the same of this one. UHD, 4K HDR Pro and of course the dimming technology and Essential Black Pro. Once again, this one has Motion Rate 120 so you'll be dealing with some reduced resolution. Again, the importance of this really can't be understated for gaming. The most well-designed video games out there today use the best technology possible. Motion Rate 240 can maintain a fluid, high-resolution image throughout the smooth action scenes that these games are known for and this particular TV for gaming doesn't have that. This one comes with Motion Rate 120. + High-quality color with 4K HDR Pro. + This also has Essential Black Pro. Why We Liked It - You should consider the fact that Motion Rate 120 often isnt up to the task. So before you settle on either of these two options, think about how important that is to you. But much like the smaller version, this fantastic 43 inch 4K TV will be satisfactory for gamers. 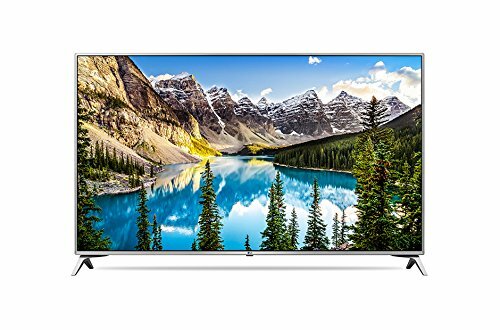 This is a popular, reliable 4K tv for gaming that will definitely serve for most of your gaming feature needs. For its price, it's actually a great value product. UHD picture as you'd expect, but this model actually takes HDR a step further. The system in this one is actually what's known as Active HDR. What this technology does, is optimize the HDR settings depending on the image on-screen. So regardless of what colors are in the picture, the resolution won't suffer. If youre playing a particular game that has a wide variety of different, colorful settings, this technology will give the visuals a huge boost. Much like the last LG model on the list, this one also uses WEBOS technology. So again, each app and console youve got connected will be accessible with the click of a button. + Active HDR is a rare, useful addition. + LGs famous WEBOS technology is efficient and handy. Why We Liked It - This product is very well-liked and with good reason too. It may not have quite the remarkable color and contrast of the Top Options but it does have one or two significant advantages over them too. As you may have guessed from its placement on the list, this is the weakest of the ten models that weve discussed. But by no means does that make this a completely useless TV. 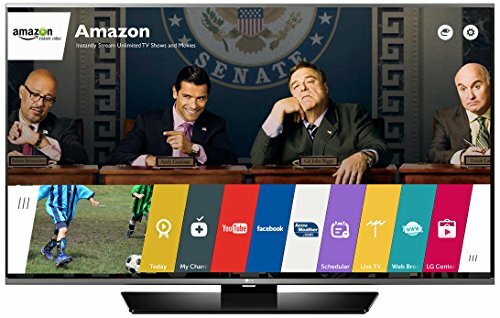 In fact, if youre on a budget and just looking for a relatively basic 4K TV, this will probably serve you pretty well as will these TVs for less than 500 dollars. It doesnt have UHD but its Full HD 1080P resolution still makes for a very good image. And while it doesnt have HDR, it does have a Wide Color Enhancer Feature. You'll still get a certain level of contrast and clarity from the colors with this even if it's not quite as high standard as HDR. You should also take note of the fact that it's only got Motion Rate 60, so as you can imagine, that's a pretty large step-down from the top options. + Full HD 1080P resolution is perfectly serviceable. + The Wide Color Enhancer is a great feature. Why We Liked It - There are definitely better options, but this will get the job done just fine if you don't want to dish out too much cash. So with that in mind, there are certain things that you need to consider before making a decision on which TV is right for you. The best 4K TV for Gaming is not going to be the same for you as it is for your best friend. Your decision should come down to how you personally want to experience your games. The TVs on this list are all 4K of course, and almost all of them are either UHD or Premium UHD. But other than that there are quite a few variables we should consider. First of all, we have High Dynamic Range, or HDR as its more commonly known. This is a technology thats present in most of the top-level 4K TVs. What this technology actually does, is significantly increase the range of brightness levels that your TV is displaying. So this basically means that youll have a strong resolution at both ends of the brightness spectrum while youre playing. There will be a huge, visible difference between the brightest scenes that you see and the darkest ones. This is a pretty massive improvement on non-HDR TVs. Contrast of that standard is very important in modern video games. Game developers are giving more attention to detail than ever before and you want to be able to fully indulge in this detail. Without HDR, the on-screen content of a darker scene tends to just look blurry and pixelated. By comparison to well-lit scenes which look more realistic. That's because it's impossible for a non-HDR picture to have pitch/deep black and bright light sources sharing the frame rates. So if you are using a current generation console but don't have it hooked up to a TV with HDR, you're missing out on an awful lot of detail in particularly dark scenes. It's probably not something that many people thought of when playing older games. Now that the technology exists however, it's hard to imagine playing without it. Everything looks more real. Your immersion in the experience will no longer be broken every time you move into a darker area in the game and everything becomes murky and obscure. The technology also allows for the transitions to be much smoother. The lighting change will happen with fluidity and realism instead of a jarring shift in color. There are two different types of HDR. You've got HDR10 and Dolby Vision, with the latter generally being considered superior and mainly featuring in the most expensive models. You however, are going to want to stick with an HDR10 TV. This is the output that the major consoles use. Playstation 4, PS4 Pro, Xbox One X and Xbox One S all use HDR10. There's really no point in shelling out for a TV that supports Dolby Vision. Conspicuous by its absence from that list is the standard Xbox One, which is not actually compatible with HDR. However, the S and X versions of the console are. It's also worth noting that most of the HDR TV's are 4K, with a few exceptions still using 1080P resolution. 1080P is still good, but you won't see every detail with it. 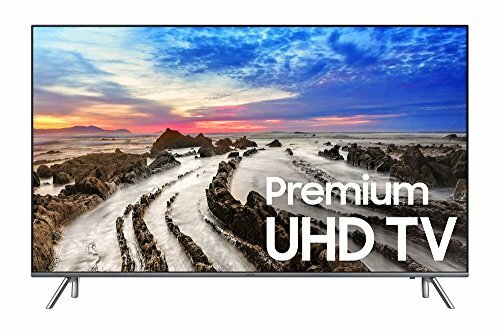 So an HDR compatible TV is the recommended choice, but like all of these different factors, it's up to you whether or not that's what you want. It is going to be more expensive and if extreme detail and near-perfect contrast ratio don't make that much of a difference to you than HDR might not be a necessary expense. This might not be a term that you've heard before. Believe us though, it's more important to your gaming experience than you could possibly imagine. What Motion Rate refers to, is the the response time and refresh rate of the images. So how quickly and how smoothly the images react to on-screen motion. These days, PC gaming is just as big, if not bigger than console gaming and part of the reason for that is PC monitors usually having a superior Motion variable refresh Rate and fast response time. And despite the fact that PCs can generally be hooked up to any TV, most PC gamers just stick to their monitors. PC monitors tend not to be all that big, certainly nowhere near as big as the largest 4K TVs. And yet that doesn't seem to be an incentive for PC gamers to make the switch. There are probably several reasons for that, but one of the biggest ones has got to be Motion Rate. It's something that you definitely notice if you compare the two. A strong Motion Rate makes all the difference to how fast-paced gameplay looks on screen. And pretty much all great games are fast-paced aren't they? Sure you've got great games that don't rely on high-speed gameplay, but for every game like Journey or The Last of Us, youve got ten like Call of Duty or Grand Theft Auto. If you're engaged in a city-spanning car chase or an epic gunfight, you want to maintain your high-quality image right? With a less capable Motion Rate, this isn't possible. When the action gets too fast-paced, things get blurry and choppy. If the Motion Rate is too low, you'll probably also be dealing with some input lag. There's nothing worse while gaming than experiencing input lag. Especially if you're playing online. One minute you're killing everybody, the next you're dead because your screen took a nap. It doesn't matter how incredible and lifelike everything looks if it all falls apart the second you start running. So Motion Rate is extremely important and it is entirely understandable that PC gamers would want to stick to what's reliable. Luckily for you, 4K Ultra HD TVs have a pretty good track record when it comes to Motion Rate too. The highest you can usually get out of a TV is Motion Rate 240. This is pretty close to the same as a really good PC monitor so if you want the best results, you should go for a TV with Motion Rate this high. The better 4K gaming TVs on this list have Motion Rate 240, and the ones that don't all have Motion Rate 120 with one or two exceptions. You won't have too many problems with action-packed, high-intensity gameplay sequences if you get a TV with 120, but again, the best case scenario for the most full experience is 240. The decision on this factor will probably come down to price range too, so much like the issue of HDR, think about how important having smooth and fluid moving images is to you before you choose. 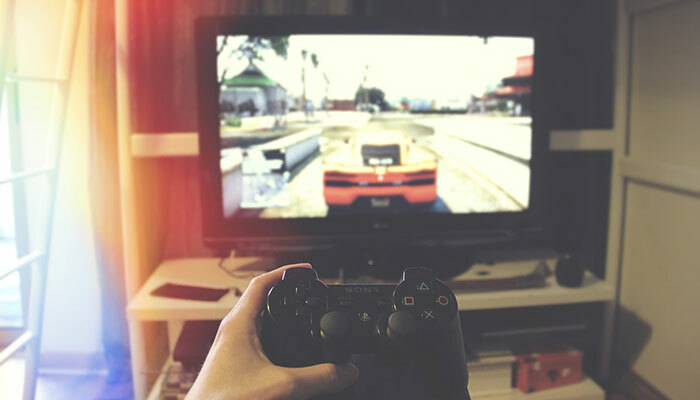 While this probably isn't quite as relevant to gaming as the other, picture-related factors we've talked about, it is a useful addition for any TV. LG TV's have a particular type of smart technology known as WEBOS. The most modern version of that is WEBOS 3.5 which is built into a couple of the choices on our list. WEBOS is a system that has all of the TV's apps available from its Live Menu. It makes it very simple to switch between these different apps. The technology isn't massively complex, but it is beneficial. If you have multiple consoles connected to the TV you can switch freely between them with this. But aside from that, smart compatibility in general is a great feature for a TV to have and if you're getting a 4K TV anyway you might as well go for a smart one. When picking a TV for gaming, most people tend to just go for the flat-screens. Most 4K gaming TVs are flat-screen anyway, but there are benefits to those that have a curve. Because you're actually interacting with what's going on on-screen, you'll want as much immersion as possible while gaming. A curved screen can help with that. The curve gives a heightened sense of depth because it fills up more of our field of view. 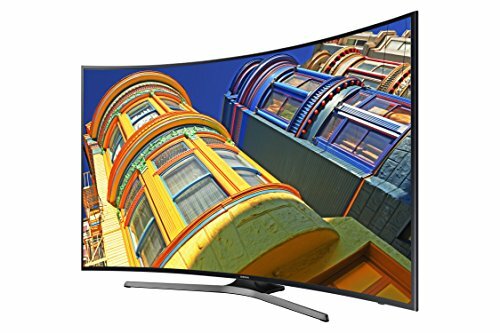 None of the picture will occupy our peripheral view with a flat-screen, but it will with a curved model. Most of the curved TVs we'll be talking about here also have an Auto Depth Enhancer, which pretty much does exactly as the name implies. It will take the already deep, immersive picture a step further. The feature analyzes the picture and adjusts the contrast ratio to add depth. Once again, this is an aspect that's likely to increase the price range of the TV, but it should be something you consider before buying. As you can see, there is an awful lot of really solid options to choose from here. And each one has its own advantages and disadvantages. What it all comes down to, is what's right for you. Think about all of the different factors here and consider which ones are the most important to you. Decide what screen sizes you would want and whether or not you want a curve. Think about how important the quality of the image is and of course, how important the Motion Rate is. When you have a good idea of all of these elements, what's essential and what's not, have a look through the list. Pick whichever TV suits your desires. With the advancements made in video games these days, it's the best time ever to be a gamer. And there are many TVs on the market that will help amplify the gaming experience. If you're using one of the Samsung TVs that features HDR, be sure to use the right HDR setting. Use HDMI ports (UHD HDR) as opposed to HDR+, the former will upscale the HDR effect. There's a relatively new technology called Organic Light Emitting Diodes (OLED) which is brighter than standard LED while using less energy. It's not common in 4K TV's right now but LG is working hard to produce TV's with this technology in the near future.